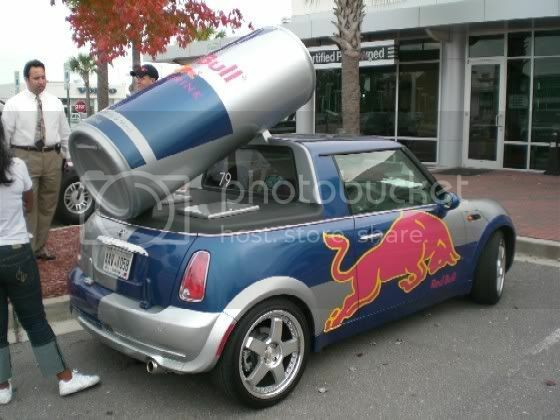 Have you seen the Red Bull MINI? I saw it today! The drivers were in distress, having wrapped the passenger seatbelt around one of the seat adjustment levers. With a little help from Dan in CPO we were able to get the little 3-D billboard off with both driver and passenger motoring safe! Ahhh, all in a days work . . .
Haha sweet!! 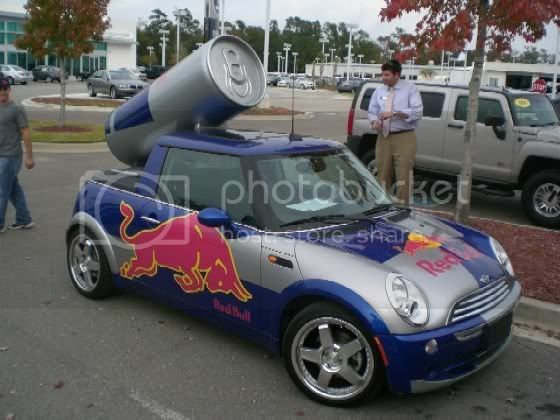 One of the RedBull MINI came to my dealership for service a few weeks ago... I wish I could've explored it a bit... Is it true that the back is a big fridge?